Tōhō Fūhai Style - Bakuryūjin (Explosive Circle): A close combat anti-air youjutsu where Tsukune smashes his fist into the ground and utilizes a shockwave of Yoki to repel his adversaries. Tōhō Fūhai Style - Muei-Tō (無影刀 - Shadowless Sword): The Tonfa of Light, can prevent the Jigen-Tō from traveling between dimensions and stopping it like a saw that cannot be pulled. Tōhō Fūhai Style - Muei-Tō Yamikiri (無影刀 闇霧 - Shadowless Sword of the Darkness): Is a technique Tsukune uses with the principles of Muei-Tō giving it offensive and cutting abilities. The power of this technique proved sufficient enough to break Gyokuro's internal organs. Manga version: The male protagonist, he is an average, ordinary human boy who is somehow accepted into a school of monsters and despite the danger it entails for him, he remains on campus, with one of his motivations for staying being Moka Akashiya, the vampiric, female protagonist of the series. Tsukune Aono is a young man who has failed all of his high school entrance exams. With no options left for him, his parents sends him to Yōkai Academy. Upon arriving there however, he soon discovers that it is a special school for monsters and demons alike, and any human who discovers its existience will be killed. Fearing for his life, he later meets Moka Akashiya, a beautiful girl who turns out to be a vampire. Soon after he becomes friends with her, he soon learns from her that she hates humans. After revealing his secret to Moka to the latter's shock, he then decides to return to the human world, but relents at the last minute when he comes to rescue her from a bullying student, stating that he really likes her and wants to become her friend. Soon after the misunderstanding was cleared, he decides to stay at Yokai Academy regardless of the impending danger that awaits him. Though considerate and polite, Tsukune is a gentle person even though there have been many instances, where he has been put into dangerous, life-threatening situations (many of which are due to enemies whom he later befriends), he has never held a grudge against anyone. Tsukune's selflessness and courage comes to the foreground, whenever he or someone from his group of friends is faced with the possibility of injury, or even death. Though powerless, he has the tendency of throwing himself into danger to ensure the safety of his friends. As the series progresses, this habit becomes extremely dangerous the enemies he encounters are so powerful that he frequently comes close to dying. Ironically, this leads to a situation where he calls upon "his own" supernatural abilities (originally from Inner Moka) as well as the concealment of his human identity from much of the student body. He become a Hagure (Outcast) Ayashi because the injected one more time with Moka's blood; and he become (later in the series) the first Modified-Human by Tōhō Fūhai because he needed to have his body augmented to better suit the flow of Yōkai and to learn the Yōjutsu (Yōkai Techniques). Before his body was in constant pain and it was said that if he is injected with Moka's blood one more time, he would most likely die. Currently in the manga, Tsukune's struggling with his inner monster (Alucard influence) who is trying to take over his body and mind as he tries to defeat Gyokuro Shuzen. 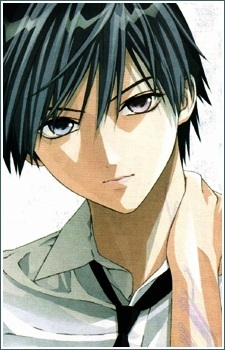 Tsukune after the Modified-Human treatment he suffers heterochromia, his right eye is blue and his left eye is purple.